Today, Design by Humans (DBH) unveiled DBH Collective, a new way for consumers to purchase and customize graphic tees from the industrys top apparel designers. To introduce DBH Collective, the company empowered 25 of the most sought out graphic tee designers in the industry by giving them an online storefront to upload their own t-shirt artwork. Consumers will have a greater selection of artwork from their favorite artists, as well as the ability to be true to their style with the largest variety of high quality t-shirt styles and colors. 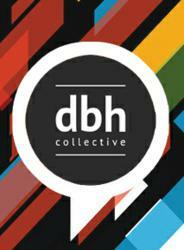 DBH Collective will officially launch on October 15th with the opening of over 50 more artist stores. Weve been working on this technology for over a year and we are thrilled to be able to offer this opportunity for artists and consumers, said Jeff Sierra, president. Artists will have more freedom to create and consumers will have more choices. For our customers, we want to provide endless options of design and t-shirt color, giving each hand selected shirt its own individuality and uniqueness. The first 25 artists in DBH Collective were hand-picked and represent graphic tee art at its finest in an array of high-demand genres. Now every taste and style such as Art Tees, Pop Culture, Funny Tees, Indie Tees, Retro Tees and Vintage Tees will be available in DBH Collective stores allowing customers to purchase directly from their favorite artists. Rather than being limited to printing one design at a time, DBHs new model is empowering artists from around the world become more prolific and profitable from their artwork. DBH Collective is all about consumers supporting their favorite artists, says Alex Wood, vice president of marketing. These are the artists that consumers are asking for and we are thrilled to include some of the most popular in our beta launch. This is great news for artists and for the consumers who cant get enough of their work. Visit all artist stores here. The DBH Collective stores were born out of feedback from customers and artists who simply wanted more. Customers wanted more designs from their favorite artists, while artists were eager to have more than one design made at a time. All DBH shirts are printed on comfortable DBH blend t-shirts using the highest quality technology available in the industry. DBH Collective stores are a division of Design By Humans and DBH will continue to run its popular, online t-shirt competition where designs are submitted, voted on and one is selected as the daily winner to be printed. For more visit designbyhumans.com. Founded in 2007, Design By Humans is a creative community of T-Shirt design lovers. From shopping for new graphic tees, organizing design contests and communicating fashion trends; it is a society of artists, fashion gurus and expressive humans. Design by Humans is a privately held company and is headquartered in Chico, Calif. For more information on Design by Humans, please call 530-924-0183 or visit designbyhumans.com. Epic Spray Paint Prank – On Cops!